Elvis Presley, Stephen King, Serena Williams, and Princess Margaret are just some of the famous people who have suffered from migraines. Migraines are headaches that typically last from 4-72 hours and you may experience nausea and vomiting as well as sensitivity to light or sound. There are more than three million migraine sufferers in Australia, meaning that more people suffer from migraine in Australia than diabetes, asthma, or coronary heart disease. 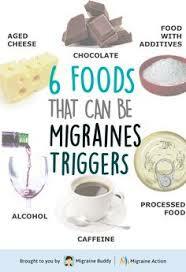 It is thought that more women suffer migraine than men due to hormonal factors. Onset of migraine is from childhood onwards but most commonly in the 20s and 30s. Susceptibility to migraine is normally inherited. Certain parts of the brain employing monoamines, such as serotonin and noradrenaline, appear to be in a hypersensitive state, reacting promptly and excessively to stimuli such as emotion, bombardment with sensory impulses, or any sudden change in the internal or external environment. If the brainstem systems controlling the cerebral cortex become active, the brain starts to shut down, a process starting at the back of the brain in the visual cortex and working slowly forward. The pain nucleus of the trigeminal nerve becomes spontaneously active; pain is felt in the head or upper neck and blood flow in the face and scalp increases reflexly. Noradrenaline is released from the adrenal gland and causes the platelets to release serotonin. Want more information about the pathophysiology of migraines? 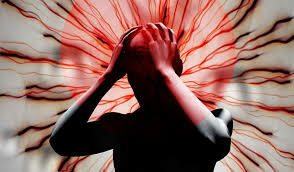 Click here..
Nearly all people who suffer from migraines report a reduction in social activities and work capacity. There is no cure for migraine and prevention is difficult, but treatments can help reduce the number of attacks. Migraines vary greatly from person to person and so does the treatment. If you feel you suffer from migraines it is important to consult your health care professional to discuss treatment options.